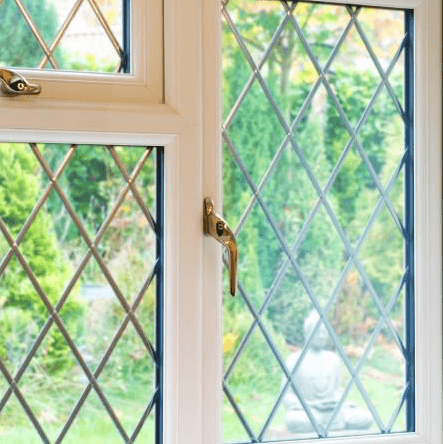 How Much Does Double Glazing Cost in 2019? Are you wondering what the double glazing cost is going to be like in 2019? Double glazing prices can be as little as £150 to £600 or more, depending on the window design. Ultimately, there are many variables that can affect the double glazing cost. The cost to replace windows UK wide can vary geographically so the cost of double glazing will vary from company to company. Other factors such as size of the specified window, style and glazing will also affect your double glazing cost. Knowing this, what can you do to ensure you get cheap double glazing prices? Comparing double glazing costs is the best place to start. This way you can compare double glazing companies as well as double glazing costs. After all, your want to be content with your company choice. When you know all there is to know regarding your double glazing, having weighed up the pros and cons of each product offered, you can then make a well informed decision regarding your new windows and doors. What is The Double Glazing Cost for a New Window? Any design or styling changes, like the colour of the frame and handle colour, will add to the double glazing cost. Do you want gold or a chrome handle? Does wood finish sound more appealing to you? Would you want the design on the glass? Be prepared to pay extra for those! Just like the style of the window, the size also plays a huge role in determining the double glazing cost of your windows. A typical 1800mm x 1200mm window might cost you £350, while a small bathroom window is more than half the price at £150! The type of glass you want also has an effect on your double glazing cost. Toughened glass is a requirement if your window is 800mm or less from the floor. This is a specially treated glass that shatters into harmless crystals when it breaks. Since normal glass breaks into shards that can potentially be dangerous, this special glass offers higher safely. As a result, you can include an additional 20% on the double glazing cost of each unit. Similarly, Georgian bars or lead designs can add at least £30 to your individual unit’s double glazing prices. The below table will give you an indication of the cost. This is table shows prices for a fixed uPVC window. It is important to note that the double glazing prices shown below are a guide. They aim to show the average price of double glazing per window. Some companies may have a minimum order price. This could affect how much their double glazed windows cost. You may pay more for a window if you by it individually. Savings can be made if you buy a whole house of windows. In any instance, it is a good idea to shop around for double glazing prices and get a number of quotes. What Are the Average Double Glazing Prices For A House of Windows? As stated above, if you buy multiple windows, some companies will lower the average cost of double glazing per window. It is difficult to say exactly how much a house of double glazing windows cost. The tables shown below in this article should give you an idea. You can also see double glazed windows prices online using our replacement windows cost calculator. You will find that the cost of double glazing will be different from house to house. This is due to the style, size and number of windows. uPVC windows are considered the cheapest option. uPVC windows and doors cost roughly 30% to 50% less than wood or aluminium. uPVC window prices depend on a number of factors. Different companies price their windows in different ways. They may have their own double glazed units price list. They may use a specific replacement double glazed units price calculator. Some companies offer a range of window products that vary in price. Either way, if you are looking for cheap double glazing, arm yourself with some facts. This will give you an idea of average double glazing prices in advance. At Double Glazing On The Web, we offer double glazed windows prices online. You can use our double glazing cost calculator to get an instant double glazing quote. You can also use the double glazing price tables used throughout this article for reference. It is a good idea to get double glazed window prices from both local and national suppliers. As with anything you buy, it is important to be happy with the company you choose. Of course, double glazing cost is important. However, so is the customer service you receive. Aftercare and warranties on offer are also worth considering. Some people will prefer a local company. They may feel that they offer a more personal service. Others may opt for a national company. This is because they may provide different finance options and warranties. They will also run promotions from time to time. This may be of interest to those looking for cheap double glazing. The factors that can affect the price include where you live and which floor the window is for. The size and dimensions will also make a difference. As will style, design, finish and hardware accessories. There are also other customisation options you can choose. These include Georgian bars and glass options. Replacement windows are a very competitive market. So it is sensible to compare double glazing prices and deals in your area. You should find a double glazing quote to suit your budget. The cost of double glazing is going to be one of your first considerations when replacing your windows. You can get an idea of double glazing cost by using our replacement windows cost calculator. Why Should You Compare Double Glazing Prices? Researching the home improvement market will make you more aware of double glazing prices. It will also give you an idea of the different products that companies offer. This is because all uPVC windows are not the same. Some companies may offer different double glazed windows products. These may have a different average cost of double glazing per window. After a little research, you will know what you are after. Things to consider that will affect the uPVC window prices are as follows. Energy rating: the double glazing cost can be affected by how energy efficient the windows are. Double glazed windows are ranked for energy rating on a simple grading scale. The A++ rating is the most energy efficient. The G rating is the least energy efficient. If you are looking for cheap double glazing, you will find the lower the energy rating the cheaper it will be. However, it is worth considering the impact this might have on energy bills for your property. Glass: the glass you choose can have an impact on double glazing cost. There are various options available. Toughened, frosted and self-cleaning to name a few. In some cases toughened glass may be a requirement. Your chosen installer will be able to advise when this is necessary. Colour: you may just be looking for white double glazed windows which are the most popular. However, there are many other colour options available. Several wood effect options are available. You could choose something more contemporary like black, grey or green. The colour you choose can change the double glazed windows cost. You can see the example double glazed windows prices online. Use our double glazing cost calculator to compare prices. If you are interested in colours other than white you can select these when creating your quote. Hardware: double glazed windows come with many hardware options. You can choose handles in different colours and styles to suit your property. Again, the options you choose will affect the cost of double glazing. It’s important to shop around for double glazing prices. Make sure you get the best double glazing products that are most suited to your needs. Comparing double glazing prices will help save you money. There are a number of deals and options available to help you spread the cost. Some window companies have finance schemes in place. In some instances you can pay monthly rather than in one lump sum. You can compare prices easily by using our double glazing prices calculator. Simply input your needs and get an instant quote to see double glazed windows prices online. What is the Cost of Double Glazed Units? You may be looking for double glazed units. These can be used to repair existing double glazed windows. The cost of double glazed units can vary. There are several reasons for this. Each company will have their own double glazed units price list. It is worth speaking to both one-man-band repairmen and other companies. This will allow you to find the best price. This is why it is important to get more than one double glazing quote. What is the Price for Replacement Windows? You can expect to pay between £150 – £500 for a standard single double glazed replacement window. This is quite a price spread because there are lots of options. The price for replacement windows will vary depending on the specification. This includes style and size. For example, take a replacement double glazed sealed unit which has Georgian bars. This style option will increase the cost. This is due to the extra decorative detail and customisation. On average, double glazed units should last around 10 years. Many manufacturers will offer a guarantee. You can replace faulty or failing units if cheap double glazing is what you are after. However, this may be a temporary solution. It is a good idea to compare repair costs and replacement costs. You may find that the cost of double glazing is more affordable than you think. Why not try our replacement windows cost calculator? This will give you a good idea of what you can expect to pay. What is the Cost of Replacing Toughened Glass? If your window frame is 800mm or less from the floor, then your glass will need to be toughened. Toughened glass is manufactured in a specific way. This involves heating the glass to a very high temperature. It is then cooled at a pre-determined rate. Toughened glass is up to five times as strong as ordinary glass. This means that it has to be hit much harder in order to break. If the glass does break, it does so in small crystalised pieces. This is less dangerous than shards of glass. The process of toughened glass can add on around 20% to your double glazed windows cost. uPVC window prices vary according to style. The average cost of double glazing per window is subject to several factors. You can see example double glazed window prices in the tables below. If you are looking for uPVC sash windows then we can help. See double glazed windows prices online by using our handy replacement windows cost calculator. Select ‘Sliding Sash Windows’ from the menu for prices of this particular window style. A sliding sash window is a more complicated design. It will take more time to manufacture than a casement window. If you are looking to replace a whole house of sash windows then it will be slightly more expensive. Sash windows are well suited to period properties. They are also a good choice if you are looking for a traditional style. What is the Double Glazing Cost Per Window? The double glazing cost per window will ultimately depend on the size of the unit. The prices we give as an example include survey and installation. Removing the old windows and a warranty is also included. We would recommend that you create several quotes for different styles. This allows you to compare double glazing prices. It is also a good idea to get quotes from a number of uPVC window suppliers. In general uPVC windows are cheaper than aluminium windows. They are also cheaper than timber windows due to material costs. This is why uPVC windows are often the material of choice for homeowners after cheap double glazing. Purchasing new windows is a big investment. It is important you choose good quality uPVC windows. 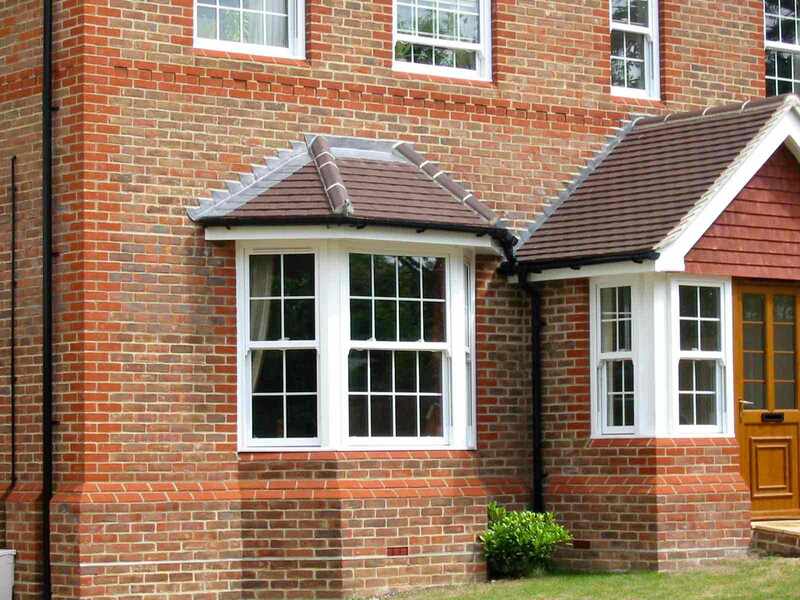 uPVC windows tend to be the product of choice for residential properties. They are well-suited to houses and can really enhance the look of a home. They come in many styles and colours. There are also plenty of modification options. Our double glazing cost calculator can give you double glazed windows prices online. You can get uPVC window prices for many styles and options. 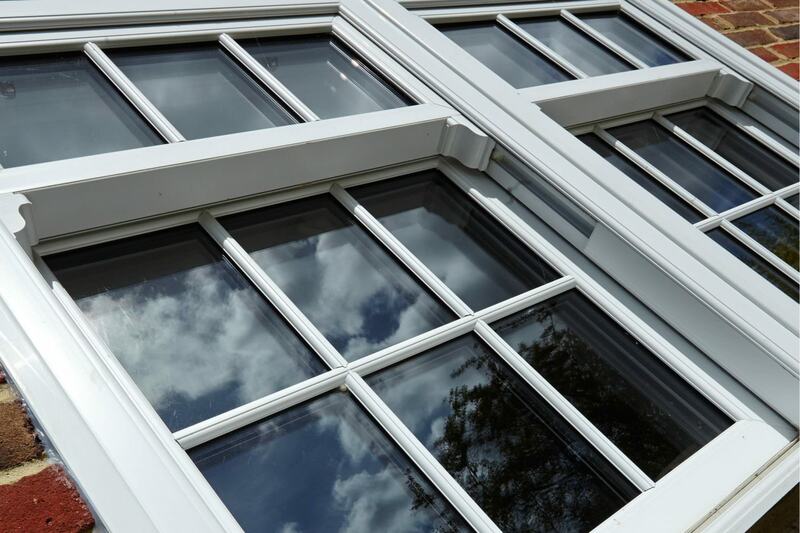 Aluminium windows tend to be more common in commercial properties. If you are interested in aluminium window prices it is worth speaking to your double glazing supplier. How Does The Material of Window Frames Affect Double Glazing Prices? Double glazing prices for windows are hugely dependent on the material of the frames. In the UK, you have the option of three frame materials. Namely uPVC, wood, and aluminium. Each of them has their own set of advantages and disadvantages. If your only consideration is double glazing prices, then uPVC might be your best option. Typically, wood and aluminium frames cost 30% to 50% more than uPVC. This can translate into a huge difference in double glazing prices. Double Glazed windows come in a number of design styles. These include Casement, French Casement, Sash, Tilt and Turn. Other styles are Flush Sash, Bi-Fold Windows, Bay Windows and Bow Windows. Casement Windows – Casement windows feature a single-lever latch design that allows for smooth hand operation. They are the most common choice of uPVC window. Casement windows can be installed anywhere within the home. They have a timeless appeal combined with modern functionality. French Casement Windows – French casement windows provide a wide opening. Both sashes open to about 90 degrees. When both windows are opened, one casement carries the central mullion. This provides good ventilation and unrestricted views. Sash Windows – uPVC sash windows are designed to achieve a more traditional look for a home. The sash window is a classic style. This beautiful design marries both style and functionality. This gives you a traditional looking yet long lasting window. Mock sash windows are also available. They give the style of a sash window but can open like a casement window. Mock sash windows are generally cheaper than operational sash windows. Tilt and Turn Windows – The uPVC tilt and turn window is extremely easy to operate with a dual-action movement. 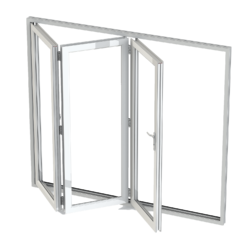 This provides access to 3 different window operations: locking, open and tilting. These windows are particularly popular in upper floor windows and high rise properties. This is because the tilt and turn functionality allows easy cleaning from inside the property. 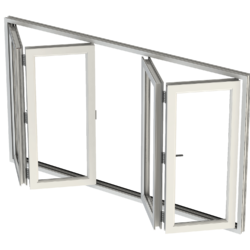 Bow Windows – Units of similar size are joined together creating a curved edge. This results in a wonderful, extended outside view. The bow window will blend beautifully into surrounding brickwork, with no unsightly corners. Bay Windows – Like bow windows, bay windows will add a touch of elegance to a room. Bay windows protrude from the property in a more angular shape. They are not curved like bow windows. A traditional bay window protrudes at 45 degree angles. An alternative is a window with a 90 degree projection. This is called a box bay window. A popular addition to a bay window is a window seat. Bi-Fold Windows – These practical windows are ideal for use in conservatories and orangeries. This is because they give you the option to be able to fully open up the side of the room. They provide fantastic panoramic views of the outside. They are great for ventilating a room on a hot day. Bi-fold windows are also a stylish and attractive addition to a home. What Double Glazed Windows are the Best? All of the double glazed window styles listed above have their own features and benefits. It completely depends on the property type and your personal taste. Casement windows are a classic style and will suit most properties. Tilt and turn windows are useful if you’d like a style of window that allows for increased ventilation. They can double up as an emergency exit. They also open easily with the ability to reach hard to clean areas. 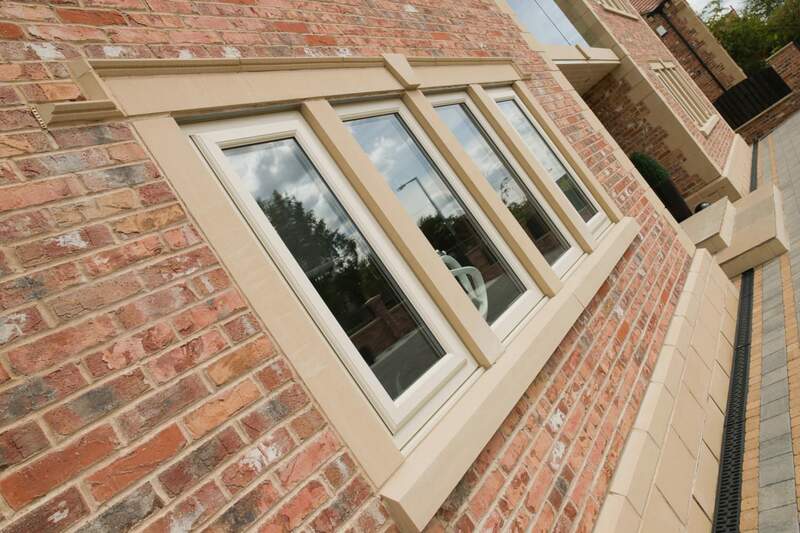 Tilt and turn windows are suited to modern properties with contemporary appeal. Sash windows offer a timeless and classic appeal. This is ideal for those looking for a traditional aesthetic with sophistication and charm. Depending on your property type, you may want to feature a traditional style window like the sash window. This is often favoured by homeowners with a period or heritage home. If you are looking for prices for any of these window styles then try our double glazed windows cost calculator. It will give you double glazed windows prices online and a good idea of price before you speak with a supplier. Why is Double Glazing Better? The main reason behind installing double glazing into homes is the energy efficiency. Double glazed windows are intelligently designed to keep warm air trapped inside your home. They are also designed to keep the cold out. The energy performance of double glazing windows are rated on a scale of A++ to G. Grade C is the lowest a window fitter may install while still complying with government building regulations. You should aim to purchase as highly graded a window as possible. This will let you benefit from the best energy efficiency and insulation. This helps to reduce energy bills. It can also decrease your carbon footprint. This may well also save you money in the long run. It also regulates the temperature inside your house. This makes it a comfortable and inviting place to spend time. uPVC windows won’t inhibit natural light from entering your home. This makes it an excellent choice for vibrant and bright spaces. Double glazing protects your home against the elements and adverse weather conditions. It will also add a layer of security to your home. Single or secondary glazing simply cannot match this. 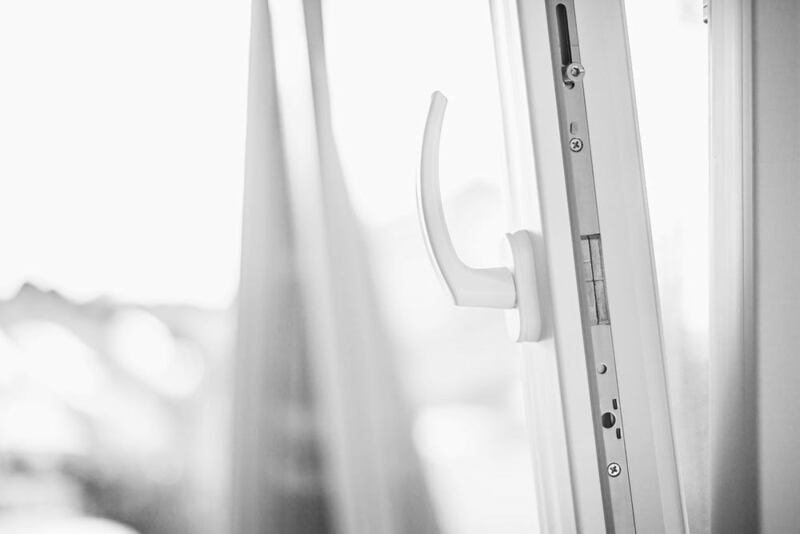 If security is a consideration, ask your double glazed windows supplier about high security locking systems. They will be able to show you what is available. The locking system you choose can affect the cost of double glazing so it is good to bear this in mind. Below are some tables that show the average cost of double glazing per window. We have selected some of the most common styles to show you double glazed windows prices online. This is obviously not an exhaustive list of uPVC window prices. Our double glazed windows cost calculator has many more window styles to choose from. You can select different options to build your quote. It is quick and easy to create a quote for your new double glazed windows. Please also see below tables showing double glazing windows cost. What do Bow and Bay Windows Cost? 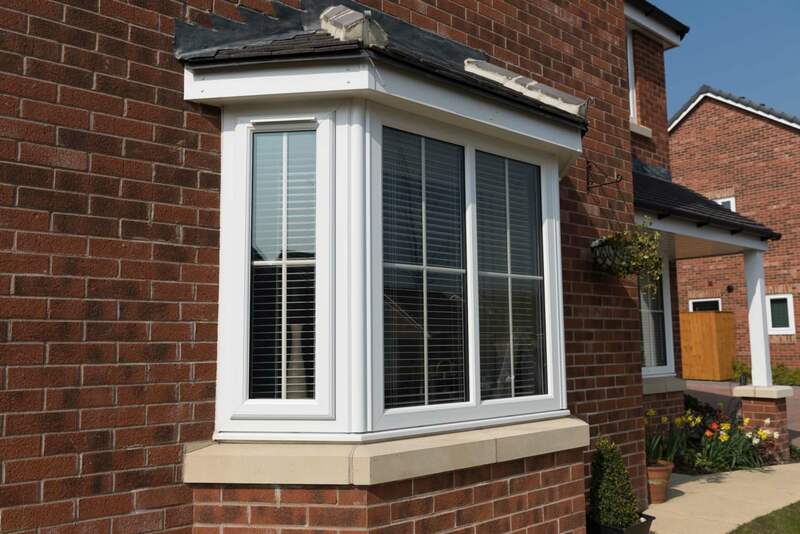 A bay or bow window cost will vary between installers. The below price tables will give you an idea of some bow and bay window costs. What is the Cost of Secondary Double Glazing? The cost of secondary glazing is cheaper than that of double glazing. Secondary glazing is when an extra layer of glass is installed on the inside of an existing single glazed window. This is different to double glazed windows. Double glazing uses two sheets of glass with a gap between. This creates an insulating barrier. Secondary glazing is cheaper than double glazing. It is not as effective at keeping heat within your property. It also has a lower level of noise insulation and security. Most properties that are within conservation areas benefit from secondary glazing. It means the original window glass is kept in place. This can also be true of listed properties. If you have a listed property it is worth asking about secondary glazing. Secondary glazing is suitable for period properties that need to keep the original features without too much change. Secondary glazing is a discreet and efficient modernisation. It allows a property to benefit from better thermal efficiency. You can increase the effectiveness of your windows by upgrading to triple glazing. This will raise the cost of your double glazing prices. However, it can also heighten the security and energy efficiency of your home. A room with triple glazing can be warmer than those that have single glazing or double glazing. This makes triple glazing a popular option for those looking to feel the benefits in the colder months. It is also popular among homeowners that live near busy roads or under flight paths. What is the Cost of Double Glazing an Entire Home? The cost of double glazing a home will depend on many factors including product style and type of glazing. Of course size, colour and security extras will also affect double glazing prices. The more windows and doors you want to purchase the more you will have to spend. However, the average cost of double glazing per window can be slightly cheaper when you are buying multiple windows at a time. You’ll most likely find that a home improvement company will give you a good deal if you’re replacing a large number of windows and doors in one go. Some people may ask ‘Why is Double Glazing so Expensive?’ but if you shop around you can generally find a good deal. The cost of double glazed windows will vary so with multiple quotes you can compare prices. Does The Size of Windows Change Double Glazing Prices? The size of your windows will affect the cost of double glazing. Small windows like a bathroom window will be cheaper to replace than larger windows. However, some companies will have a minimum order price. If you have several windows to replace, it may be more cost effective to have them all done at the same time. If your windows are not on the ground floor, double glazing prices may also include setting up scaffolding. This can affect the individual price of a double glazed window. 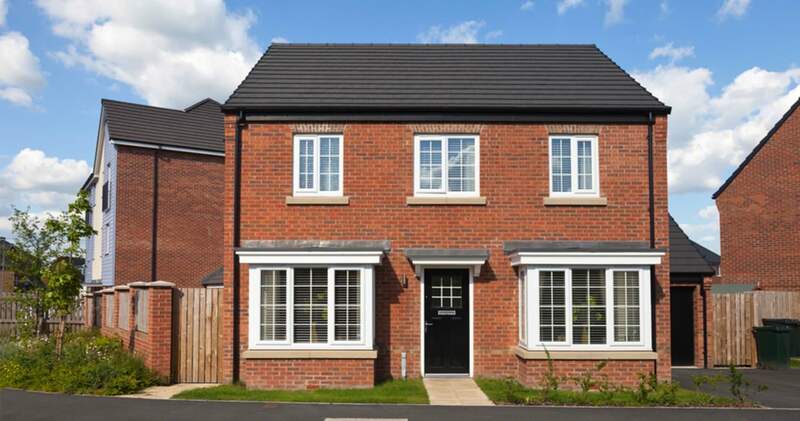 What is the Double Glazing Cost For a 3 Bed-Semi? 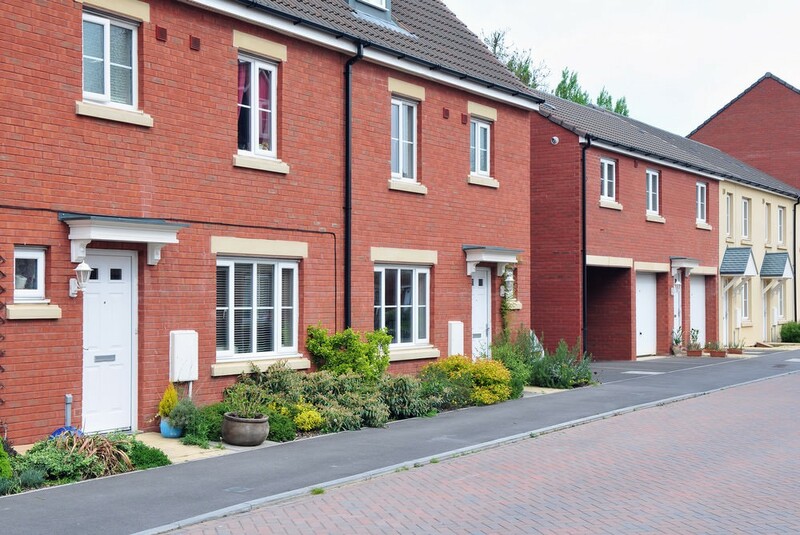 On average, the cost of double glazing a 3 bed house can be between £3000 and £5000. It will, of course, depend on the glazing product you choose. Other considerations are energy rating, locking systems and frame colours. If you shop around, get multiple quotes and compare prices, you can get very competitive uPVC window prices. You will obviously want to choose an installer you trust and are happy with so not all your considerations will be price-led. When Should I Replace my Double Glazing? Double glazing units tend to have a life span of up to 20 years. Around the 15-20 year mark is where you might consider getting your double glazed windows replaced. Lots of suppliers will offer a warranty. This can vary in length so it is a good idea to ask about the warranties on offer. One of the benefits of double glazed windows is that they are low maintenance. During the lifespan of your windows, maintenance tasks should be minimal. Usually, just cleaning them regularly should be enough to keep them looking good and in optimum condition. What Is The Double Glazing Cost to Replace a Window? In certain cases, you might not need a complete overhaul of all your windows. You can control your double glazing cost by simply replacing the damaged window, or windows. The cost to replace one or few of your window will depend on not just the price of the window unit but also who you get to install it. A specialist company might charge you £75 per window, while a small local company run by one man might do it for £50. A large well-known company comes with a reputation and quality assurance. They also tend to have more styles and options as they have greater warehousing capacity. The downside to using them is the high cost and the fact that they might have a minimum job size. A small company might not have the means to stock a large variety of window designs and variety. However, they have no ‘minimum order’ and their double glazing prices are lower. There is also the fact that, since they are a local business, they need to maintain their reputation. If they do poor quality work, the word gets around and they lose business. Being local also allows you to see their work first hand. You can ask them to tell you where they have worked in your area and get reviews from their previous clients! Do You Need a Double Glazing Cost to Repair or Replace? 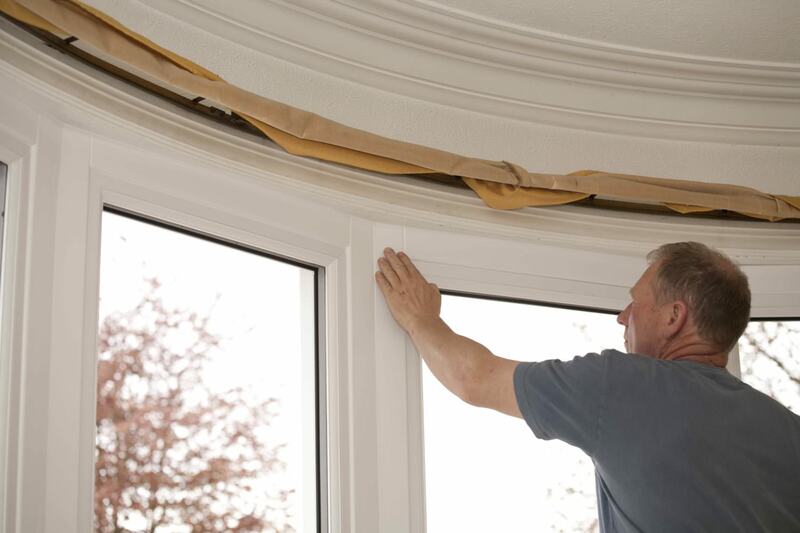 While you always have the option of completely replacing a broken or damaged window, sometimes it makes more practical sense to simply repair it. You may like the appearance of your window, and it is performing up to your expectations. There might not be a need to spend a great deal of money in replacing it when you can get it fixed. You will need to consult an expert in such a situation. A simple survey will tell you if it is possible to repair it, or if you need to replace the whole unit. You might want to keep your double glazing cost down by getting it repaired. However, if the survey says that repairing it is not viable, then you will have to replace it. A repair in such a situation would be like a band-aid solution, and might end up costing you more in the long run. You also get better value from your property if you maintain the appearance and energy-efficiency. Trying to compromise on the replacement double glazing cost might prove expensive when it is time to pay your energy bills! One of the most disturbing thing about online quotes is that you are never quite sure if there are any hidden costs. You may think the quote covers everything but then get surprised by an expense that you were not expecting. With our double glazing cost calculator, you are protected from such unpleasant surprises. What you get is an honest double glazing cost estimate that acts as an accurate guide to your double glazing prices. The full installation which includes all colour matched trims, fixings, silicones and sealants. Registration with an industry body such as FENSA or Certass and relevant certification. Removal and disposal of your old windows and doors. There are many benefits to having uPVC windows installed in your home. Double Glazing is an investment and a worthwhile one at that. 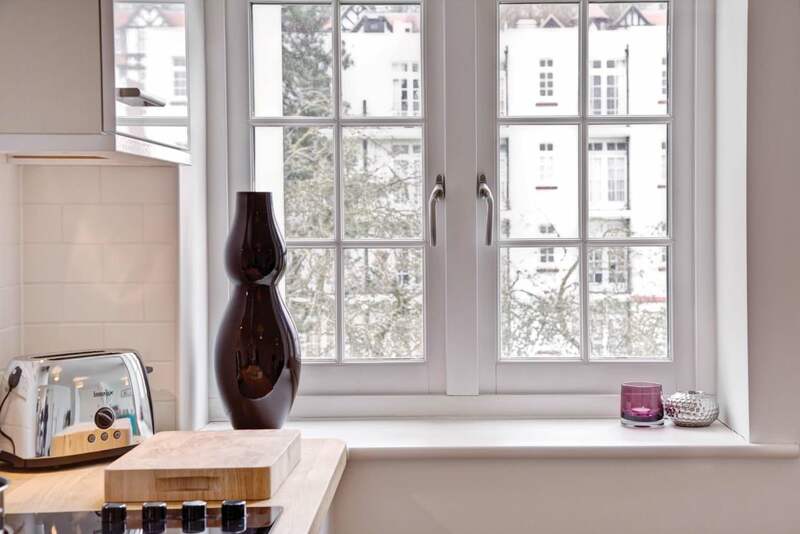 Despite the initial outlay, double glazed windows can save you money in the longer term. Double glazed windows help retain heat, keeping your home warmer for longer. You’ll find your energy bills may reduce over time. You may also become less reliant on boilers and central heating radiators. Double glazed windows can significantly improve the security of your home. There are many high security locking options to choose from. This can save you money on insurance premiums. It will also give you peace of mind about the safety of your family and home. Noise reduction is another advantage of double glazing. If you live near busy traffic you may find having double glazed windows installed beneficial. Triple glazing is also an option if you are concerned about noise pollution. What are the Prices for Double Glazed Doors? We have discussed the price of the windows. For doors, the factors that make up the cost aren’t so different. Your door size, style and glazing will all, of course, contribute to the overall cost. Prices can vary significantly when it comes to the design and material. For example, composite doors are likely to cost more than a uPVC entrance door. This is because a composite door is made from a combination of different materials. It is, therefore, a more complex product and takes longer to manufacture. They are also seen as higher quality and are often chosen for replacement front doors. Composite doors are attractive and come in a range of colours and styles. Furthermore, you can also accessorize them with options such as knockers, spyholes and door numbers. Our online double glazing cost calculator also includes a multitude of door styles. Why not have a browse through to see the different styles and prices? It also includes many single doors and also offers a patio door cost calculator. French door prices and bi-fold door prices are also available. It might seem like a needless addition to your double glazing cost, but getting energy efficient units can make a huge difference in your annual energy bills. Studies have shown that even a rating of C can help bring down your yearly energy bills by around £50. A rating of A or A++ might even get you a saving of £75 a year! That can translate into a considerable savings over time. How does poor quality double glazing cost you in terms of your house’s heating? By losing heat rapidly, it ends up making your heating work harder! A good quality double glazing has two layers of glass with a sealed layer of vacuum or argon between them. This acts as insulation, preventing heating from inside the house from escaping. Since the heat remains trapped inside, your heaters don’t have to work as hard to maintain the temperature inside. This not only helps your household budget but also the environment! The insulation is helpful in not just keeping heat in, but also keeping noises out! You may not be looking for the cheapest double glazing cost as that might not cover your needs. However, you do want to get the most competitive double glazing prices that you can get. How do you ensure that the double glazing prices you are paying are the best in the market? To ensure that, you will need to shop around and compare quotes. We recommend you do not settle for the first quote you get. It is always a good idea to get double glazing prices from more than 3 sources. You may find that a big supplier has the exact design and material that you wanted. They can install your units for you with the strictest quality standards, and you are happy to pay for it. 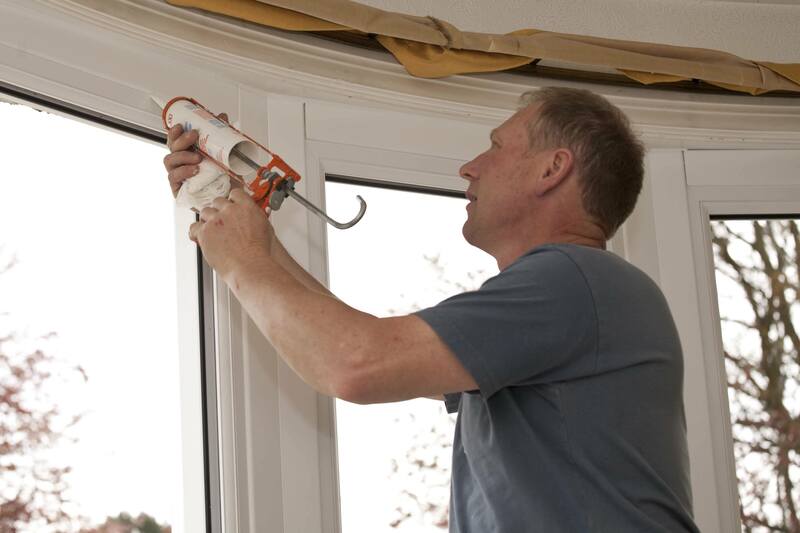 On the other hand, a small local installer might be willing to go the extra mile for you and helps you keep your double glazing cost to a minimum. He may be willing to replace a single window whereas the large company might have a minimum job size. By shopping around, you will be able to identify the right options to suit your needs perfectly. You might also get a competitive quote by shopping around at the right time. Since December is considered the slowest month for windows installation, you are likely to get a very low double glazing cost quote. Additionally, salesmen often start the sales pitch with a higher double glazing quote. You can get the double glazing prices lowered simply by asking for a lower price. The more you negotiate, the better the double glazing price you will be able to get for yourself! What are the Best Window Frames? When it comes to the frames of your windows, the thickness varies from 14 to 28mm. This depends on how big the window is. The thicker the window the better its energy performance will be. Retaining heat in your property and preventing the cold from outside entering your home. Thicker frames will also more effectively provide sound reduction. 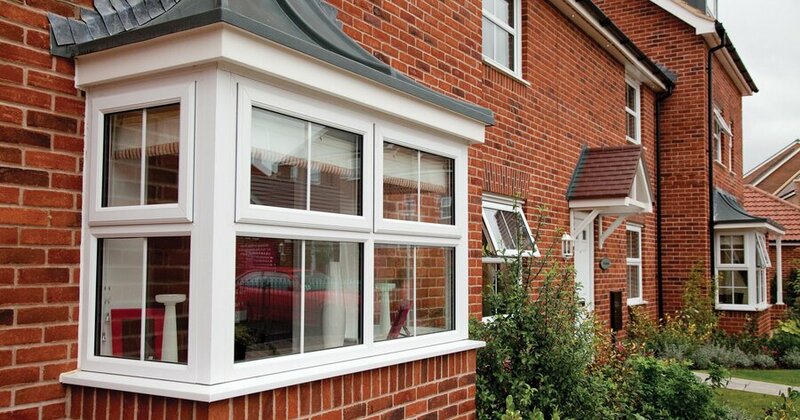 uPVC is a popular frame material as it is affordable. It is durable and low maintenance. You won’t need to worry about spending time or money on the upkeep. Furthermore, they won’t suffer from rotting or discolouration. Also, they won’t warp over time. However, some people prefer aluminium. It is a more expensive material choice for your window frames. However, it is robust, strong and lightweight. This makes it a flexible material that can result in higher glazing to frame ratio. This will give you unobstructed views. Who is the Cheapest Double Glazing Company? As we have discussed, the cost of double glazing can vary from company to company. If you want cheap double glazing it is certainly a good idea to shop around. Consequently, make sure you compare quotes from at least 4 double glazing companies. This will give you an overview of the average cost of double glazing per window. This will help you decide on the best solution for your home. Other information to consider is how long the company has been established. It is also worth reading their reviews. If you can look at previous and present projects they’ve worked on this is also useful when making your decision. 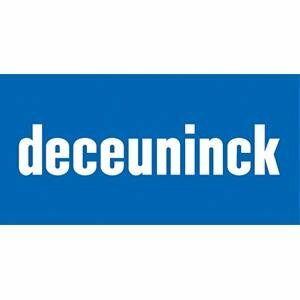 It is worth finding out if they will offer a bulk purchase discount or if they quote by the single price of a double glazed window. You may want to choose a local double glazing company or a national. There are benefits to both. Therefore, our recommendation is that you get multiple quotes and ask all the questions you need to. Above all, this will give you a good overview and hopefully competitive uPVC window prices.